Brief Synopsis – A police detective in a small town tries to find a murderer by joining forces with the victim’s dog who witnessed the crime. My Take on it – This is a movie I have such fond memories of the few times that I saw it. Its actually quite funny looking back at the kind of actor Tom Hanks was 27 years ago. He was still showing his amazing ability of physical comedy and very few people would have guessed that only a few years later he would join history as one of the few actors to ever win back to back Best Actor Oscars. I loved watching his show off his physical comedy abilities here especially wen he was working together with Beasley the Dog (Hooch). Besides Hanks, the supporting cast is quite good and we get to see some great performances by Craig T. Nelson, Mare Winningham and Reginald VelJohnson. 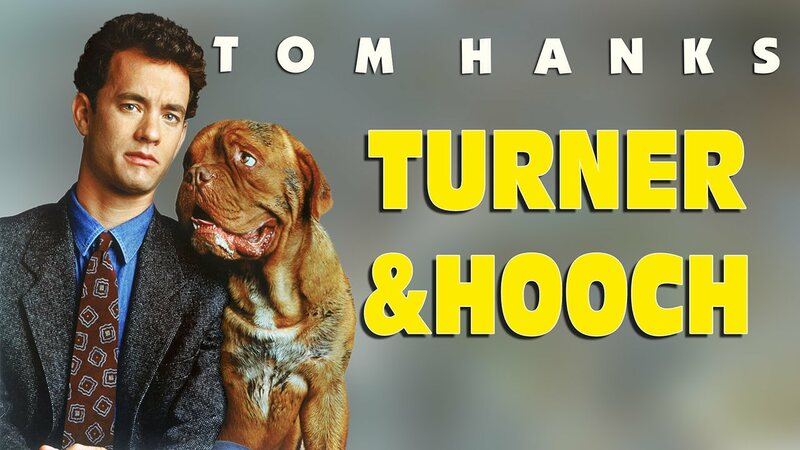 Obviously tho, the star of this film is any of them or even Hanks, but the Dog who is great as a slobbering mess who wont tale any crap from anyone and will eat just about everything (including furniture). His presence makes the film even more fun than one would expect. Bottom Line – One of Hanks’ final straight comedies before making the transition to dramas and joining history with two back to back best actor Oscars in 93 and 94. The physical comedy works extremely well here and Hanks was perfectly cast as the lead here. Excellent supporting cast with VelJohnson, Winningham, Nelson and Beasley the Dog adding so much flavor to the film. Recommended! Great film! It’s amazing how different Hanks was in the 80’s compared to the 90’s.